Paper Daisy Crafting: Join Stampin' Up with this fabulous "Share What You Love" bundle with 3 FREE gifts! Join Stampin' Up with this fabulous "Share What You Love" bundle with 3 FREE gifts! Today I'd like to tell you about the amazing deal that you can get by joining Stampin' Up! as a demonstrator. To do this, all you need to do is purchase the Starter Kit, which is always the best offer in the catalogue - you choose any products to a value of £130 and pay only £99, including FREE shipping. If you want to run a business, the starter kit also contains everything you need to get going like order forms and catalogues but there is no obligation to do this. There is NEVER any pressure to sell to other people, and in fact most people sign up as a demo just to get the discount for themselves. If you decide to be a hobby demo and buy products just for yourself, that is absolutely fine but there is always the opportunity of selling to friends, family and fellow crafters if you decide to. There is a minimum order amount (£275 per quarter before your discount) for you to stay as a demo, but if you decide you don't want to retain your demonstrator status you can just let it lapse and nothing will happen. You get to keep everything in your starter kit and just walk away. 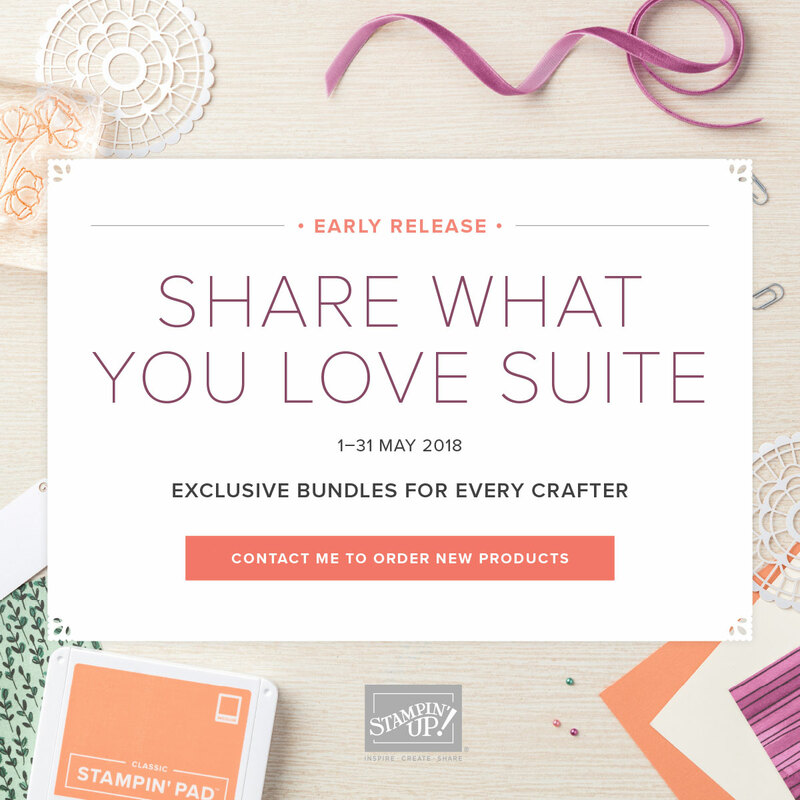 But to make it an even better deal, at the moment, until 31st May, you could chose to include one of the fabulous bundles from the fabulous "Share What You Love" suite available as a pre-order, before the new catalogue comes out on 1st June. There are three bundles to choose from and each contains either one, two or three free items. Personally I would go for the "Gotta Have it All" bundlewhich retails for £118.75 and includes 3 FREE gifts. 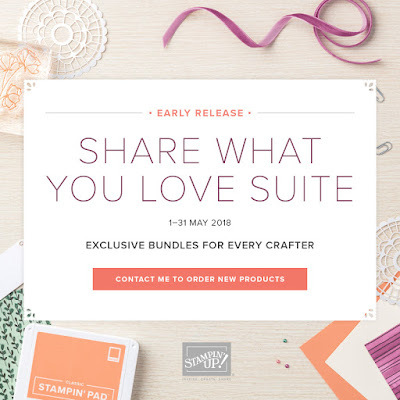 This bundle is so great because you get 2 sets of stamps, an ink pad, 2 card packs, a huge selection of 12x12 designer papers (some of which are pearlised), envelopes, an embossing folder and loads of different embellishments. You could then make up the rest of your kits with some craft essentials like a black ink pad, white card, a clear block or adhesive. I've listed all the products below so that you can see them all - click on any of the images to go through to my shop to see them in more detail - but please note you will not be able to purchase the items individually until 1st June - if you try you'll most likely get an error message! And sorry, but I can't list the "Statement of the Heart" stamp as this is only available in the kit and not individually.